MARTHA MOMENTS: New From Martha Stewart Crafts: Linens! New From Martha Stewart Crafts: Linens! Embellishing simple, elegant linens - table runners, napkins, tea towels, aprons - with an equally simple but iconic ebroidery design can elevate them to a new level of charm. New from Martha Stewart Crafts is a series of linen kits. Each kit comes with an assortment of plain white linens in cotton with pre-printed, wash-away ink designs and small embroidery sets that include the needle, presorted cotton thread for easy stitching, easy instructions and an alphabet for personalization. These not only make beautiful hostess gifts with that special touch of the hand, they are also a great teaching tool for someone interested in learning embroidery. Below are examples of some of the linens now available at Martha Stewart Crafts. can see the full line here. 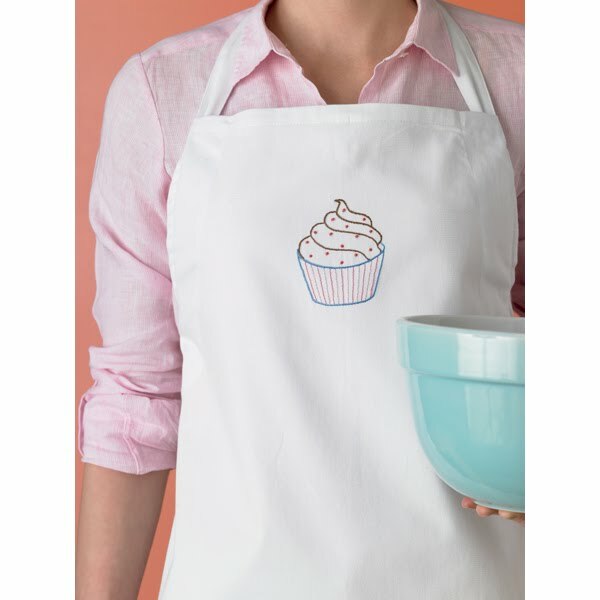 This Cupcake Apron kit includes everything you need to create a fun and fashionable, hand-embroidered apron. One size fits all! 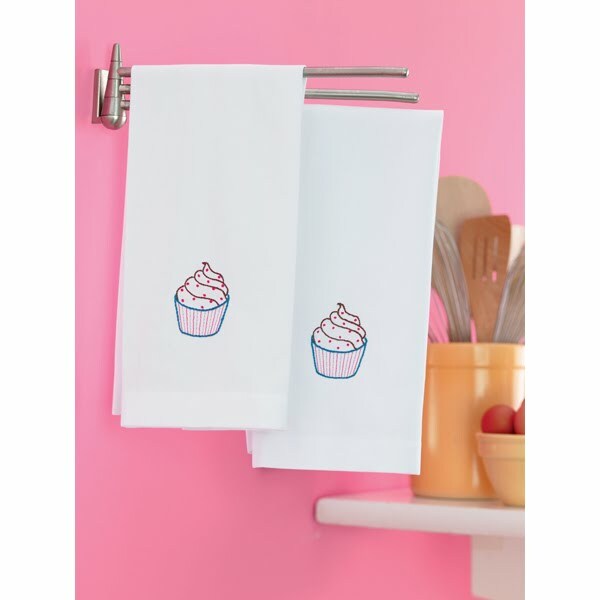 Personalize your kitchen with a set of beautiful hand-embroidered Cupcake Tea Towels. Kit includes two 17"x27" white tea towels. 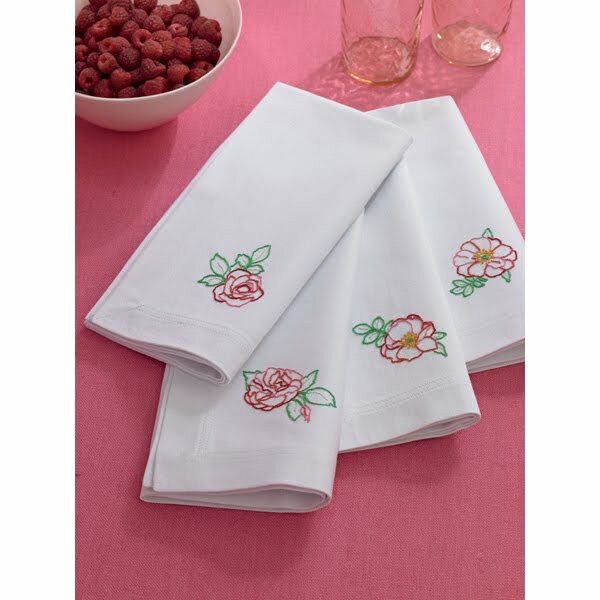 Complete your table with this set of beautiful hand-embroidered Flower Design Napkins. Each kit contains four 20"x20" cotton napkins. 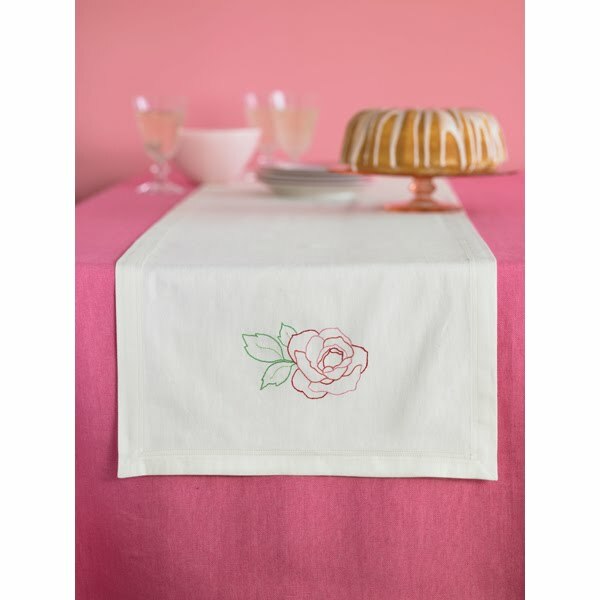 Accent your table with this beautiful hand-embroidered Flower Design Table Runner. Kit includes one 16"x72" polyester/cotton table runner. 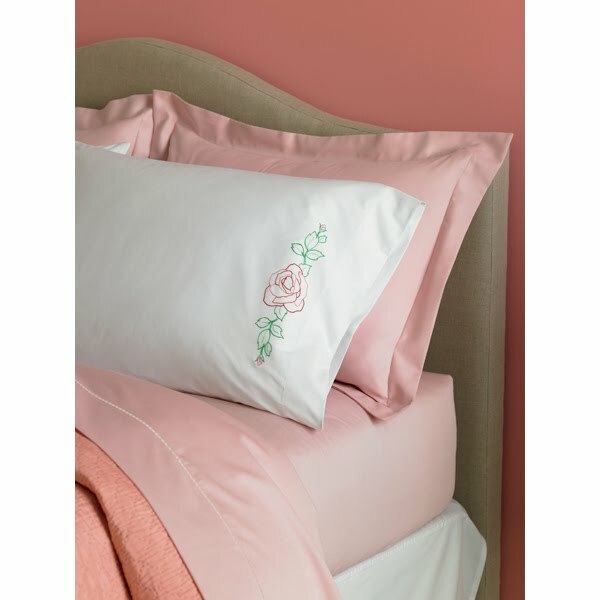 Accent your bedroom by creating two easy-to-stitch hand embroidered Flower Design Pillowcases. Kit includes two 20"x30" polyester/cotton pillowcases. 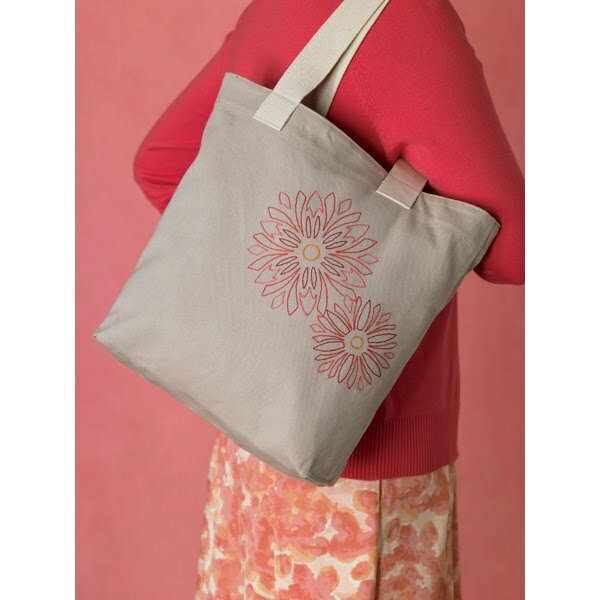 Show your creativity with this lovely hand-embroidered Floral Design Accessory Bag. It coordinates beautifully with the large tote.